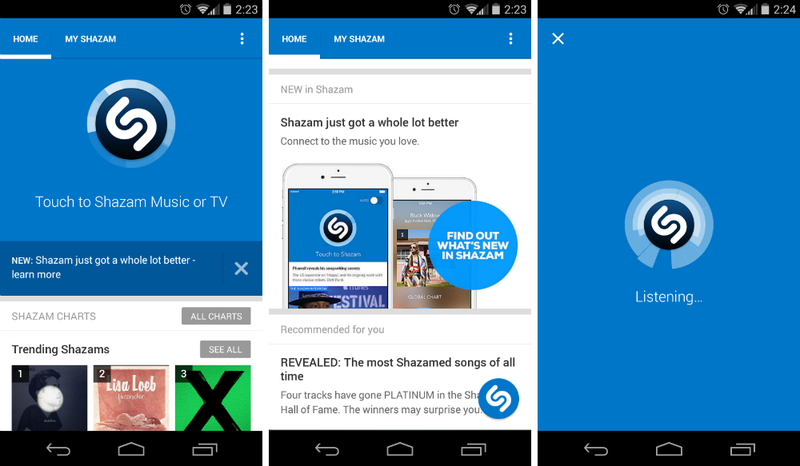 Folks who use Shazam, the service that identifies any piece of music which might be playing around you, can go grab the updated version of the application, which introduces Google’s Material Design UI guidelines. Take a peek at the changelog below for more details. Rate any track with the new player: Like it? Swipe right to save it to My Shazam. Not for you? Swipe left to skip it.